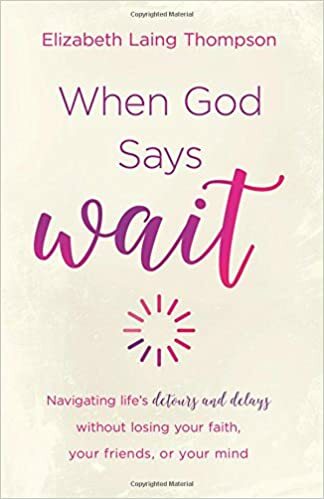 My friend Elizabeth Laing Thompson has just released a new book, When God Says “Wait”: Navigating Life’s Detours and Delays Without Losing Your Faith, Your Friends, or Your Mind. We are all waiting on something from God—true love or a baby, a job or a cure—and Elizabeth meets us in the middle of those waits with scripture, stories, and humor. Wait may be a four-letter word, but Elizabeth helps us redeem our waiting seasons by choosing how we wait and who we become along the way. So…what are you waiting for? I hope you’ll pick up a copy today! You can buy the book wherever books are sold, but here is the Amazon link.